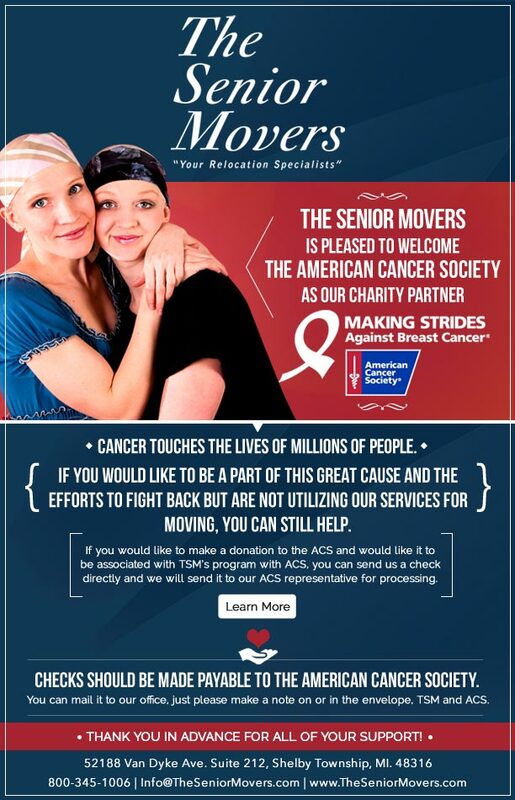 The Senior Movers is proud to announce that we have named The American Cancer Society as our Presenting Charity Partner. Cancer touches the lives of millions of people. In 2016, an estimated 1,685,210 new cases of cancer will be diagnosed in the United States and 595,690 people will die from the disease. Indeed, all of us know someone who has been afflicted by this horrible disease. 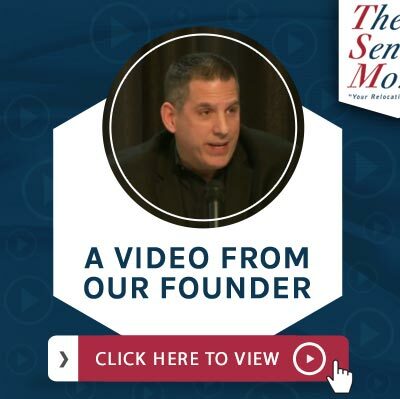 The Senior Movers (TSM) and its founder Paul Burkhardt are no different. Cancer has affected many family, friends and clients of mine and the disease has taken the lives of so many close to me Paul says. In 1989 I lost my father to (Pancreatic Cancer) and in 2006 I lost my mom to (Breast Cancer). So much research and work has been done to fight back against Cancer and tremendous progress has been made, however, our work collectively can never stop. We must continue to raise awareness and the funding needed to keep making the strides necessary to learn more and fight back even harder. With this is mind, The Senior Movers will participate in various events relating to ACS in an effort to help raise awareness and fight back against this dreaded disease. If you would like to be a part of this great cause and the efforts to fight back but are not utilizing our services for moving, you can still help. 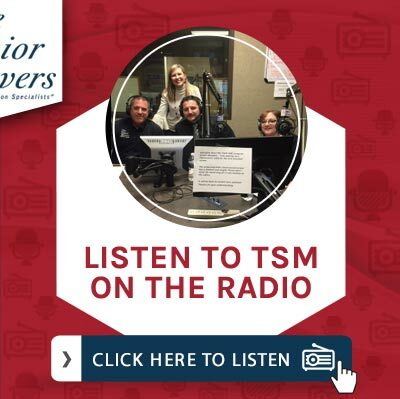 If you would like to make a donation to the ACS and would like it to be associated with TSM’s program with ACS, you can send us a check directly and we will send it to our ACS representative for processing. Checks should be made payable to the American Cancer Society. You can mail it to our office, just please make a note on or in the envelope, TSM and ACS.